I have come across your articles a few times but have recently started to read more of them, they are really informative and interesting and I particularly like the way you constantly experiment with new ideas. For the last 6 years we have been going on holiday and stopping with relations on the Isle of Iona. I had a trip on a boat after pollack and caught some, probably up to about 7lb, and couldn't believe the fight they would give, even on 30lb class boat rods. I could only get out once per holiday so it was a bit frustrating not to be able to catch any decent pollack from the shore as most of it is pretty shallow. It took me 'til the 4th year to find a decent spot after doing a round the Island tour on the same boat. 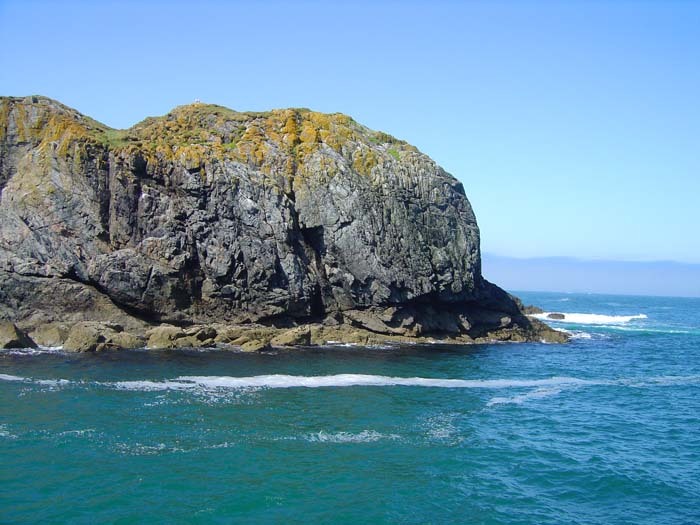 I noticed a deep channel that we went through between a rocky Island and a small ciff with good ledges to fish from. Even though the Island is only a few miles square it is tough terrain where I was hoping to fish. I bought a map and one-and-a-half-hours later, using mountain bike and walking through bogs and up and down steep cliffs, I got to the spot. After about 3 trips I'd only had a few tugs but no fish and it was time to go home again. Anyway two years ago, when we went back to Iona, I researched a bit and couldn't wait to get back to the same spot, so armed with 118mm Redgills, a 9' heavy spinning rod and 10lb mainline I cast out and bingo a fish! I could not believe the fight it gave and quickly it snapped my line, when this happened again I was gutted, excited and upset, at what was happening. I didn't know what to do but then realised that I had some 12lb line in my rucksack. I was shaking as I took the old line off the reel and replaced it with the new. Luckily that did the trick and I caught some fish! On other trips that year I caught them, up to four-and-a-half-pounds, using free-lined chunks of mackerel and different colour Redgills. On my holiday this year most of the fish took Dexter wedges and 60g Zenith spinners. I caught hardly any on mackerel this time but I landed pollack up to six-pounds which gave a fantastic fight. As you can probably tell, I think I am addicted to pollack fishing, so I hope you don't mind me picking your brains. My question is:- when using my spinners it was suggested that I should take off the treble hook as I was losing fish in the kelp. Can you tell me what type and size of hook you use? The interesting thing is that, despite the problems he encountered at first Graeme didn't give up - the sign of a keen angler. I guess that most pollack anglers have lost a fish or two when they crash dived into the kelp forest. 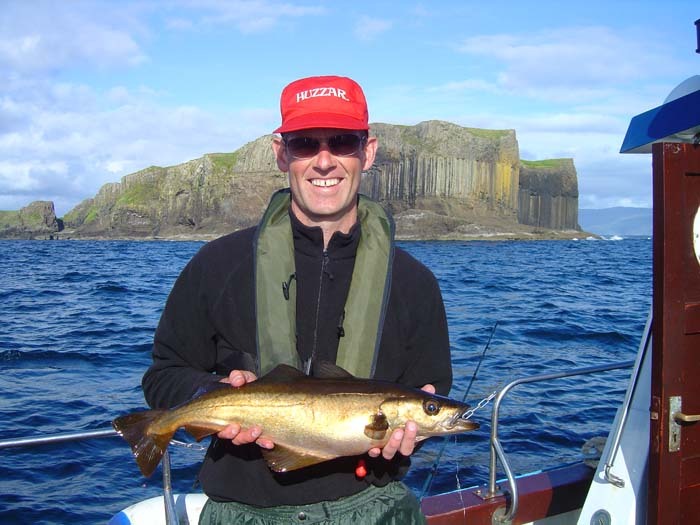 One of my first experiences with these fish, in the Isle of Man, mirrored Graeme's experiences almost exactly. In truth nothing will completely eliminate lost fish in these circumstances but, obviously, the less free hooks and bits of rig the better. I simply said that I've been using 'Decoy Plugging Singles' on my wedges and plugs for a year or so. 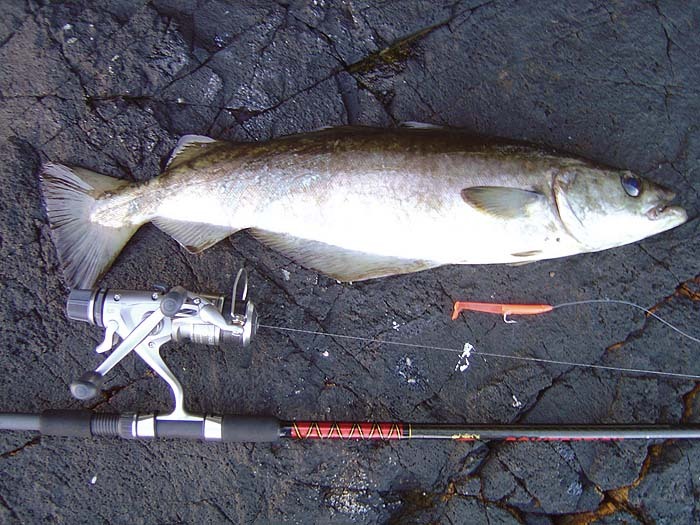 They have a big eye in line with the bend of the hook so they're easy to attach to most lures. The hooks seem strong and are unlikely to open out, which is good if they are in fish, not so good if they are stuck in a kelp stem but everything is a compromise. Good effort Graeme!